2016 Monthly Building Contest - September: Tidy that desk! September is a month when pupils and teachers alike go back to school. I thought it would be a fun challenge to make pencil pots or desk tidies. 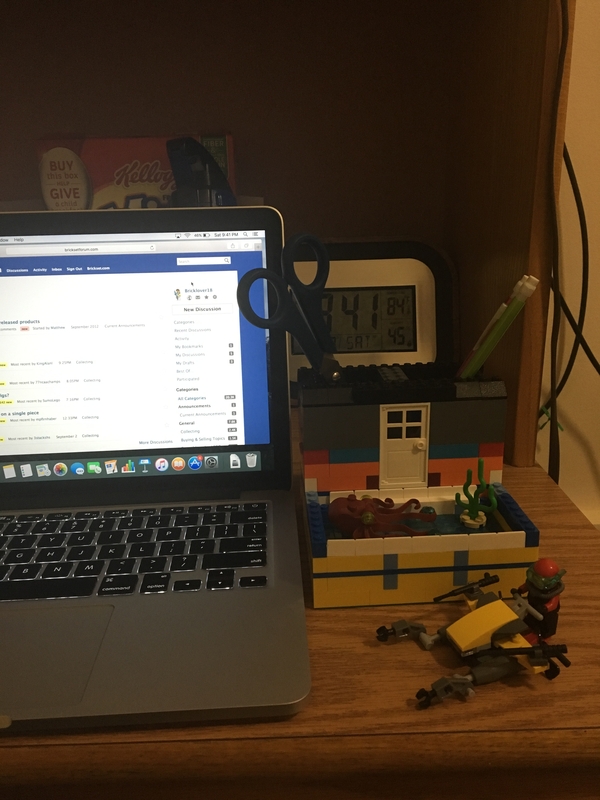 If you are not a teacher or don't have kids, a clean desk is something that everyone appreciates, even if it's just the place where you build Lego and you use a pencil pot to hold some scissors and a brick separator. You can make a single pot to hold some pens or an elaborate work that has a variety of pots. That way it can hold pens, scissors and paper-clips, maybe even some tape? The sky is the limit, well no, actually your desk is the limit, it should be not so big that it wouldn't fit on an actual desk. It's all up to your creativity, you could go for a themed one, you could use only the elements of one set, you could go for a house or an animal that doubles as a pen pot, you could just use lots of colour, .... Anything goes, as long as it holds pens at the end of the ride. 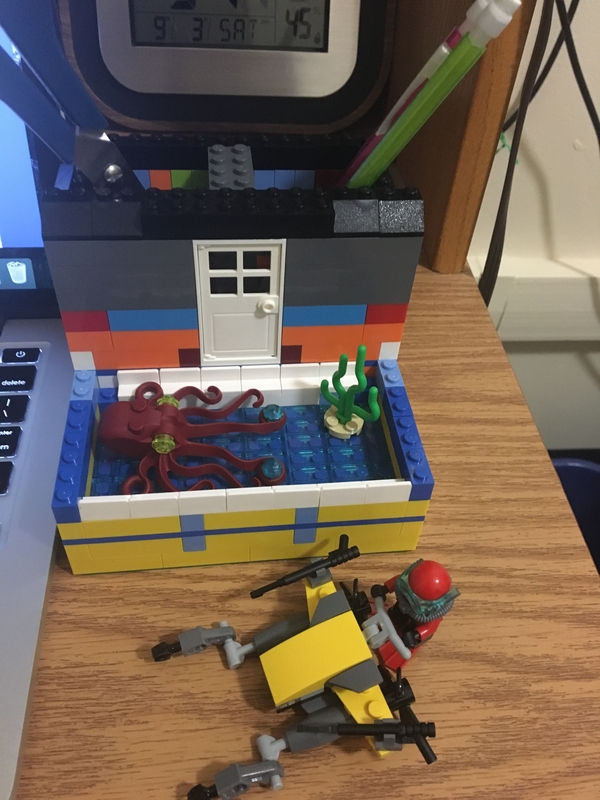 Share as many as you like, even if it's only a simple one or your first MOC, more entries might give other people ideas and get those creative juices flowing. Also, if your kids want to take part and make one for themselves, feel free to post those too, I love seeing what they come up with. - seeing as there are many time zones and September is a short month and has already started in some time zones, the contest closes at midnight on the latest time zone there is on September 30th. So midnight in Honolulu (countdown here). I'll announce the winner by October 4th. 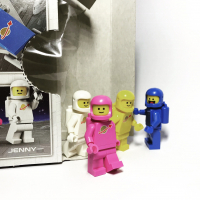 A poly bag or CMF from those I have available. I'll PM the winner a list they can pick from. Any questions? Anything dubious? PM or leave a message below. I look forward to see what you come up with. 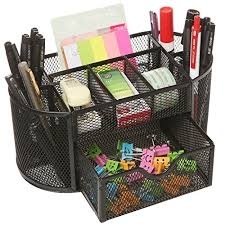 I have a question- what is a pen holder? 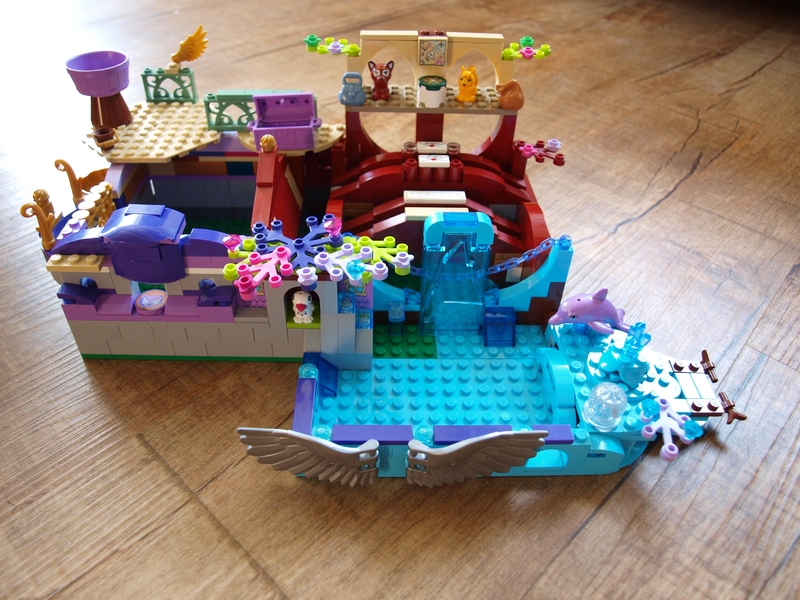 My first MOC, following my first foray to the PAB wall where I bought lots of purple and transparent blue dots, 2x1 purple tiles and lavender plates. It's even built using old light grey. Not that I knew any of this terminology/distinctions when I bought the pieces. So I'm currently off at college, and have an extremely limited amount of parts, but this is what I managed to come up with. Yes that is a box of cereal in the background. @xwingpilot Use a TIE Defeneder and it would be a TIE/d(y). 10 points to Gryffindor if you can guess who this loveable rogue is meant to be. A little quick mid-monthly bump. Got some nice and very different looking entries. But I'm glad I didn't, I enjoyed the joke. Keep building guys and gals! Thought to give this another bump with just over a week to go. Had quite a bit of entries the first week so look forward to see what you come up with. 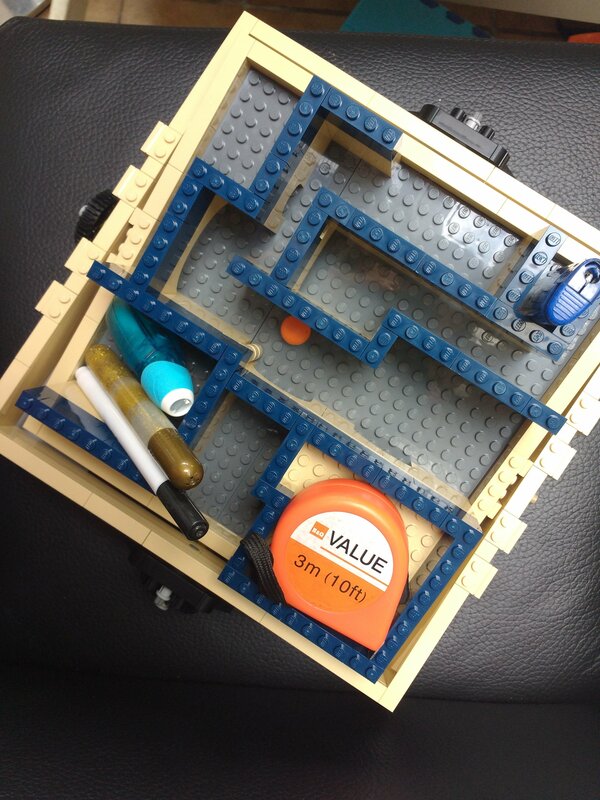 I finished building the maze yesterday (loved it BTW) and to encourage you I made a desk-tidy out of it. It's only rudimentary because the weight was already getting to much. Look forward to see what else people can come up with! 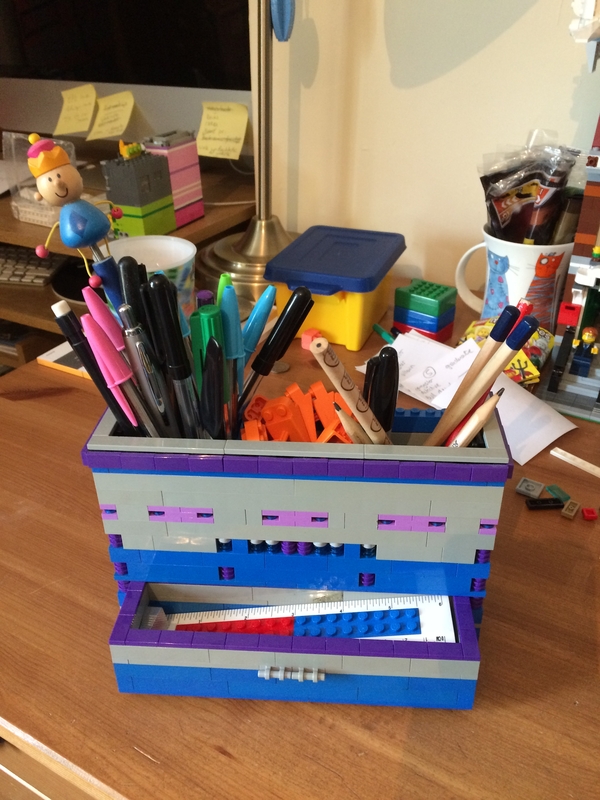 Oh man, I just remembered I made a desk tidy to find out if something would work. It had a hidden drawer in it to hold your coins. 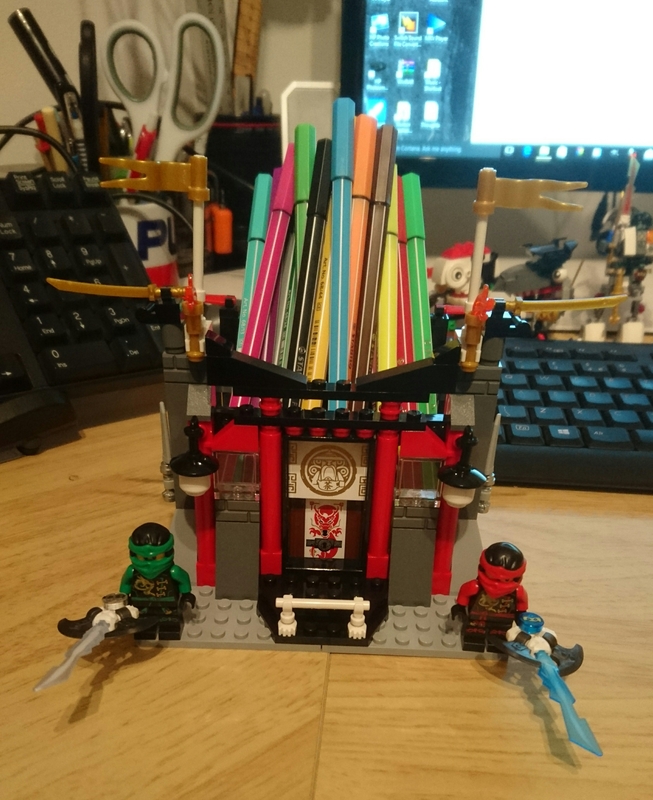 I need to get it themed though as at the moment it looks like a minifigure threw up on a baseplate. Fingers crossed for having time! Here is my entry. Woohoo! 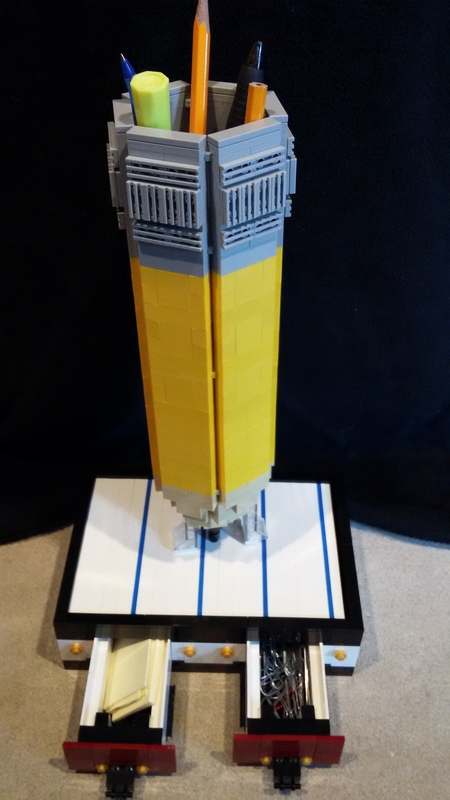 It's my first MOC as an adult builder. I had a few different ideas at the start of the month, but using a pencil to hold pencils kept coming back in my mind. After a few false starts with trying to have the pencil eraser be rounded and at the bottom of the MOC, I decided to start at the ferrule (metal part of the pencil; who knew?) and work my way down. Originally the "lined-paper" based was not going to have any functionality, but I decided it would be perfect to expand and then put some drawers into it for small items. 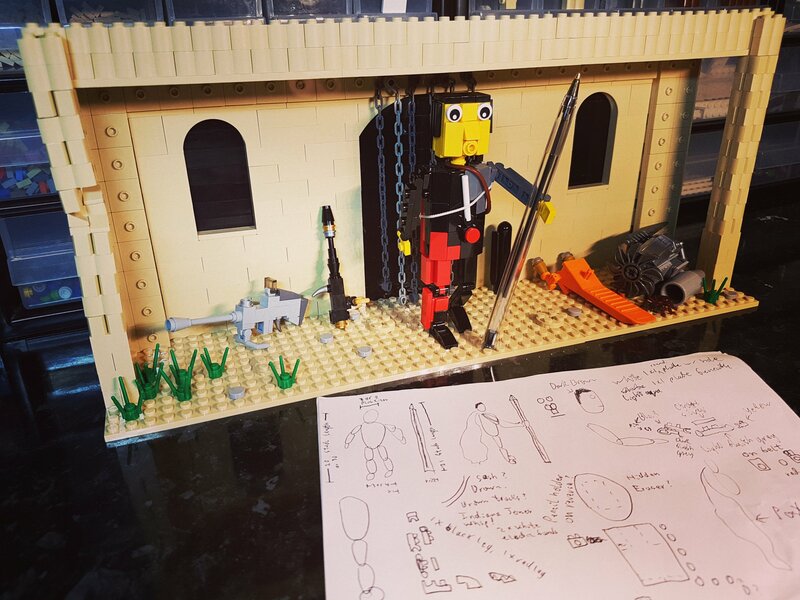 Although I'm not completely happy with the model because the original build was meant to have an eraser that would hinge up to reveal the pens at the top (I couldn't get the eraser to look right so I just removed it), I'm glad I was finally able to take the time to sit down and bring an idea to life. Nothing to apologize about. A model like that would look good with any camera. ^^ I think we have a winner! ^ It looks like you take pen security very seriously. I like all of the little details that help make it a fully realized "temple." 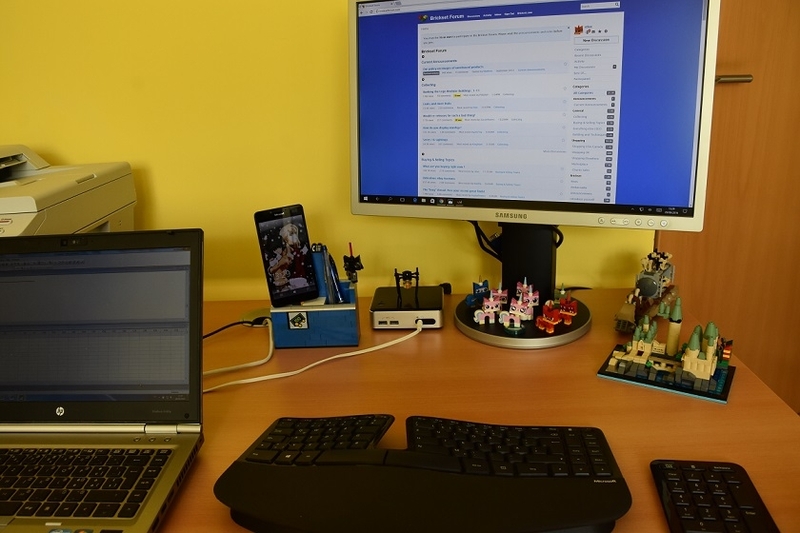 ^See those pirate mixels in the background? Terrible for making off with stuff and claiming it as booty. ^ Hmmm. This makes me think that two ninjas might not be enough security. 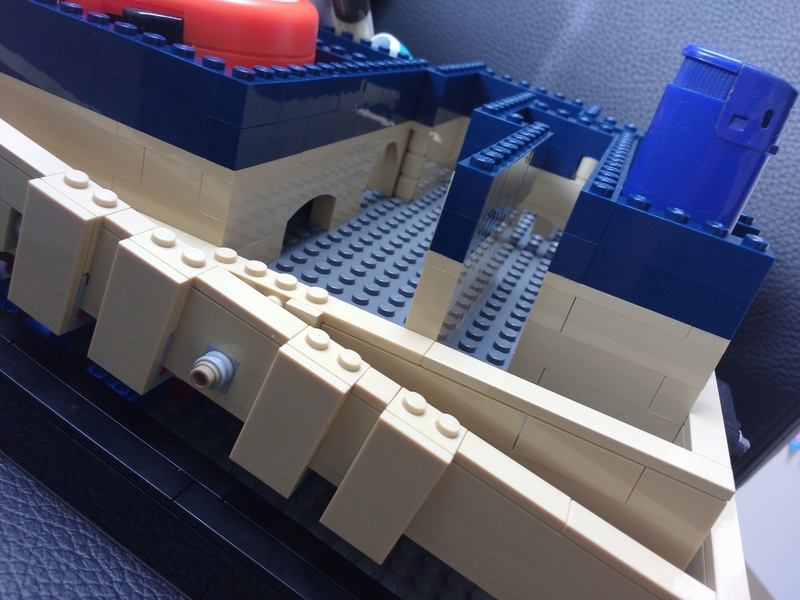 Where is the moat made of thumbtacks? The 5-foot fence made of rubber bands that will bounce enemies away and that is topped with rulers that have the sharp metal edges? 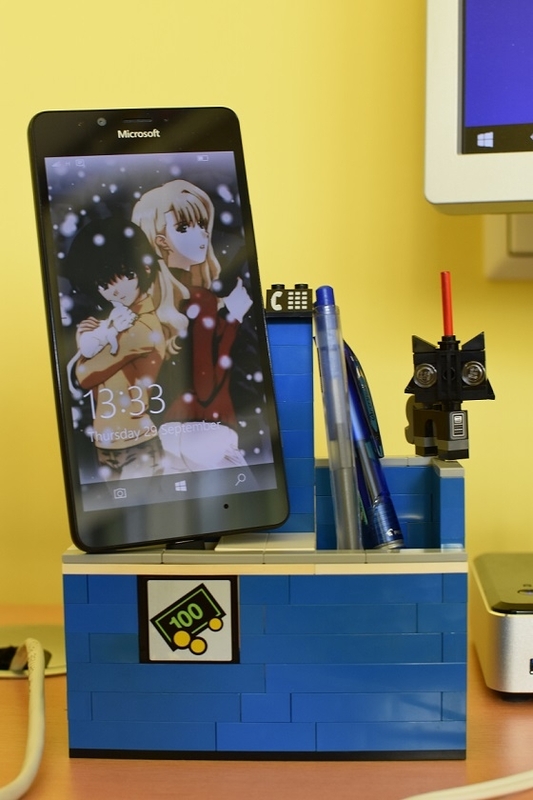 There are some glaring vulnerabilities that could be shored up with some of your other desk supplies. 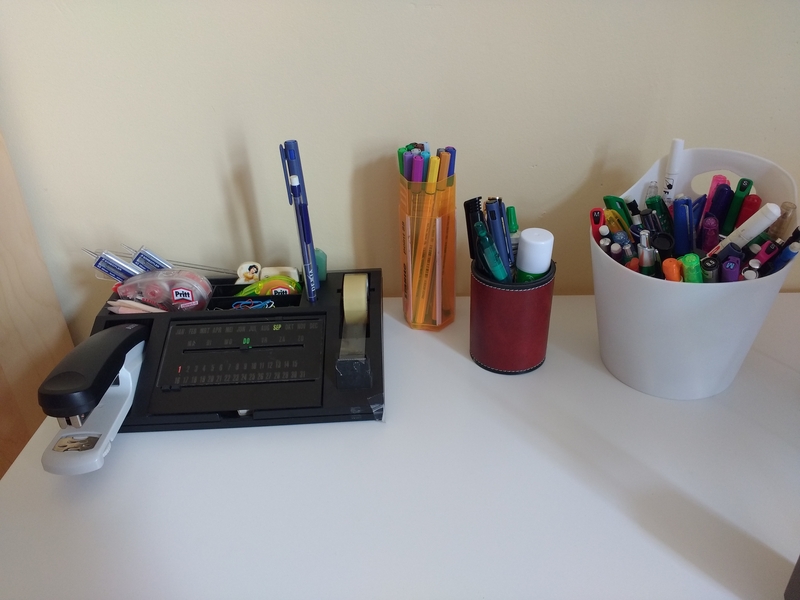 I have a clean desk policy both in the office and at home, and don't really have a need to write things down. 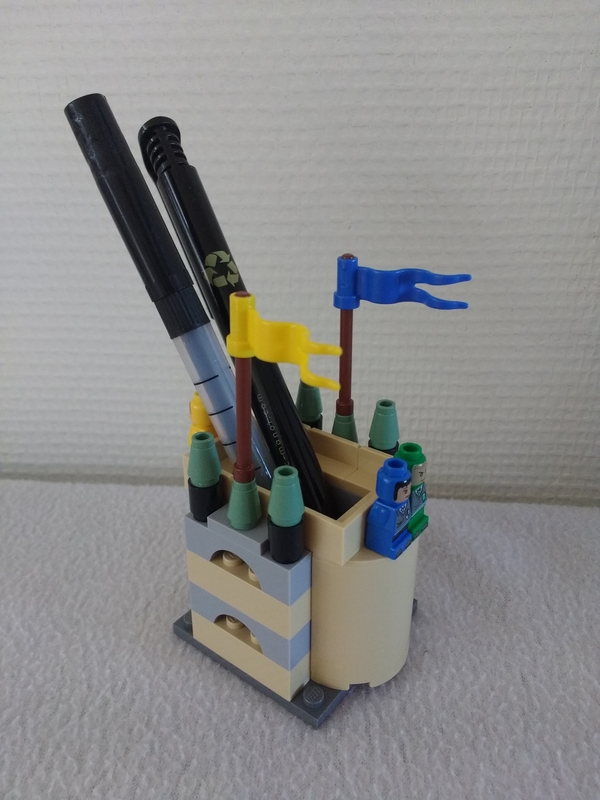 So my pencil pot has space for the grand total of 2 pens I have (every other pen at home has been confiscated by my wife for... things). I'm a heavy user of my mobile though, so added space for it + a pass-through for the charger so I never run out of juice! Guarded by Unisithy. Nobody will mess with Unisithy. ^I like the idea for the pass-through for the charger. Do you have anything inside that keeps it in place when the phone isn't connected? It's a rather sturdy, non-bendy USB3 cable. Is staying nice in place without any additional help. For extra security Unisithy also has a battalion of droids at her command. Last day to put the entries in - 26 hours left. This competition has ended - winner will be announced in the next couple of days after deliberation by the judges (well, the judge ; ). Over to @SprinkleOtter for the next one! Thanks, @snowhitie I forgot what month it was (huh, I guess that means I missed the Revans...). Here we go, results-day. First of all, I want to thank everyone who took part. It's really great to see what kind of different things you come up with. 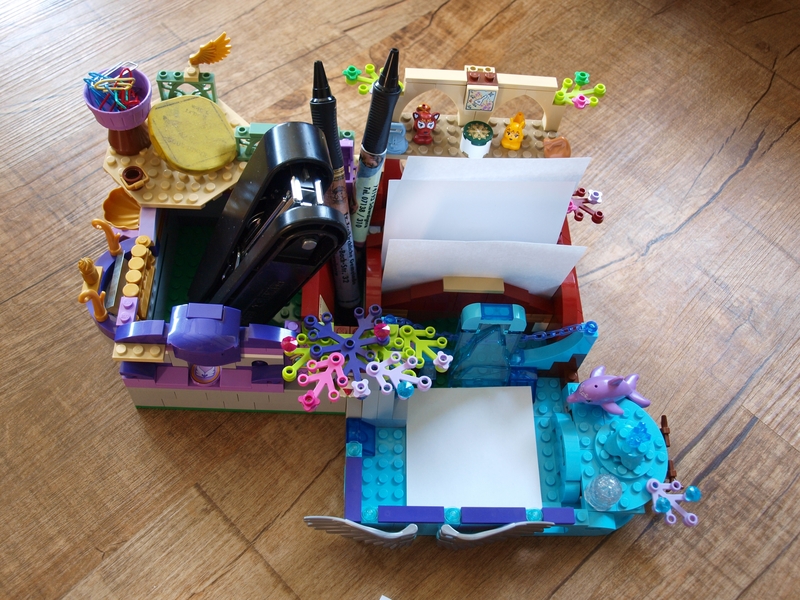 @ Salamalex I think yours is the most functional one, good use of (nice) colours and I like the drawer inclusion. Plus you were first. @the1whitetiger I love your model. It's great you stayed within a theme and it's instantly recognisable. It's also got room for everything (post-its etc), which I like. My son and husband thought you should be the winner. 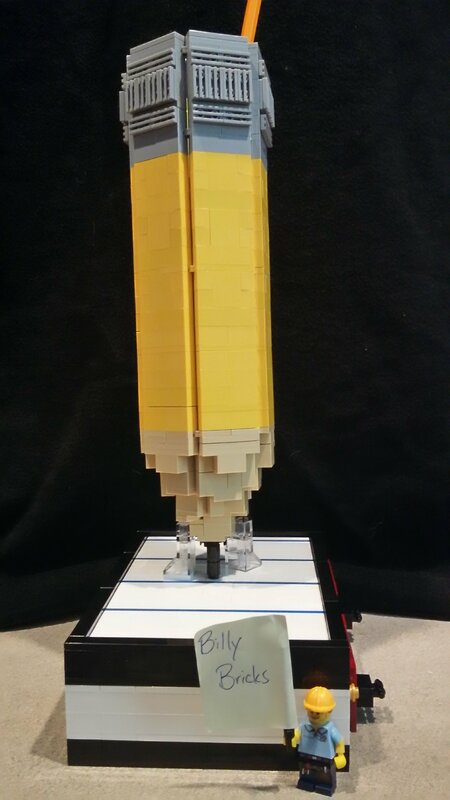 @Bricklover18 even with limited bricks you managed to come up with something fun. Great idea to have a little scene in front and I love how the octopus holds on to his diamonds! Not sure I would like to live in a house that walks into the sea though. 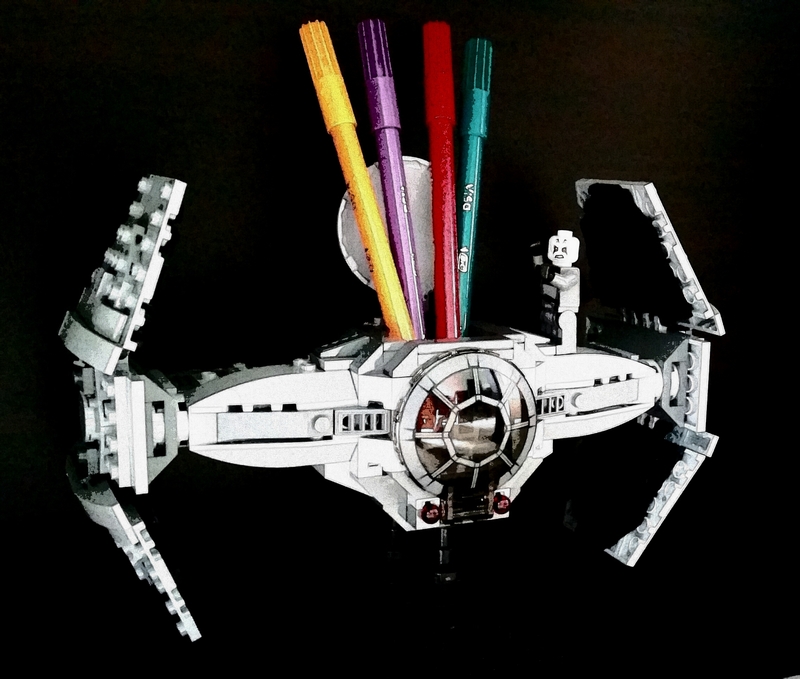 @rdflego a very impressive build even thought there is only space for one pen ;) . I love your inclusion of the sketches you made to design the model. I've never done any preliminary work like that, so it's great to see someone else's thought process. It's a nice scene and I love the wonky side. 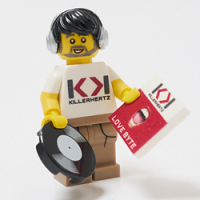 @BillyBricks84 Your model was instantly recognisable. It's a great idea to make a model of something to put something in. It's clean and sharp and the drawers in the pad are a nice inclusion. @TheOriginalSimonB like White Tiger, I love the fact you stayed within a theme. 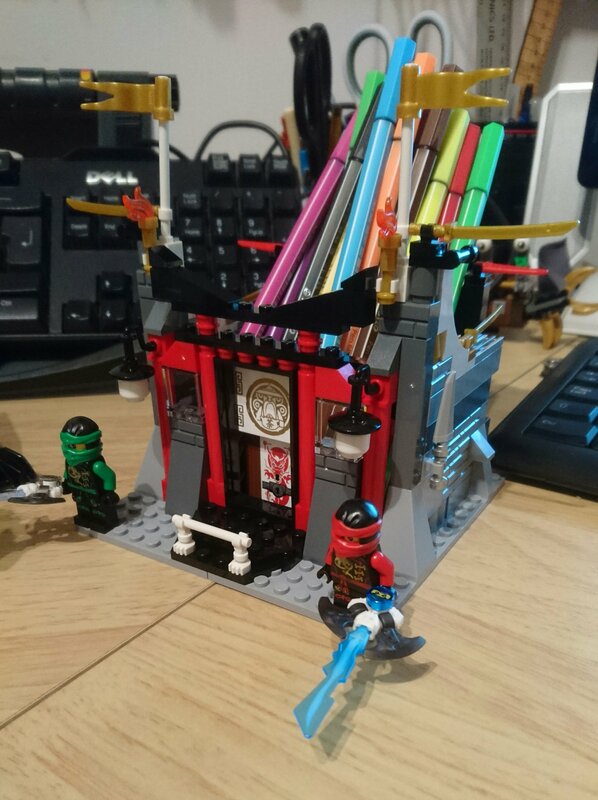 Good use of different pieces to make a whole and it's great to see the ninjas actually guarding the temple. For the winner, even with limited entries it is always difficult to say who wins, I didn't just look at originality/functionality but also to use of techniques, and at the end of the day de gustibus et colirbus and all that malarkey. I do have to pronounce our @BillyBricks84 the winner, your first MOC as an AFOL was definitely a great one. As soon as I saw it, I fell in love with it, the finish is amazing. I'll PM you and give you a choice of some prizes. 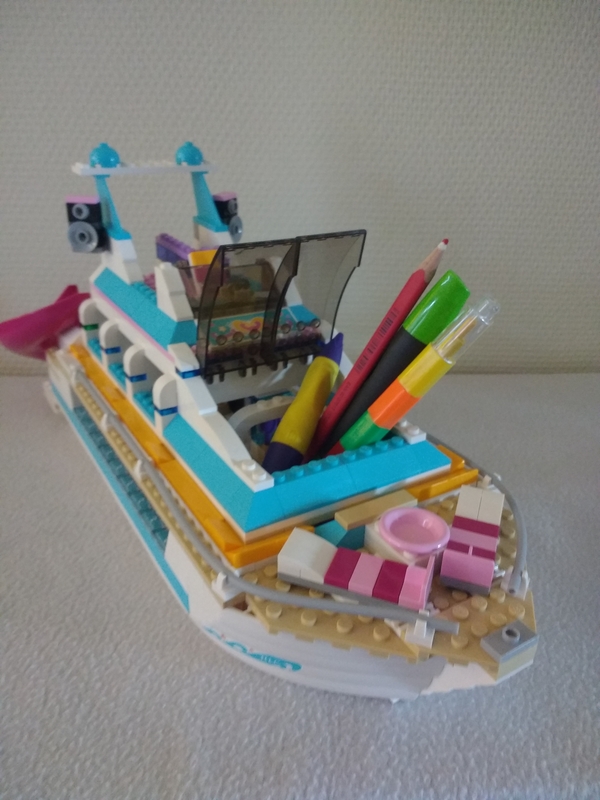 I hope that some of these will actually stay on your desks, and if annyone gets inspired to build something later because of this thread, please come and show us. For now though, let's all go and chill with @SprinkleOtter. yes great job! @BillyBricks84 You deserved to win! @snowhitie - you do know that link from 'chill' goes back to your own thread, right? Thought I was going mad for a bit there. Or that my browser was rebelling!! @the1whitetiger, @TheOriginalSimonB Thanks! I appreciate that coming from people who also made strong entries. I'm excited to see what everyone submits next month. I usually see an idea and think, "I would not have thought of that even if given a year." I do have an idea in mind for October, but the execution of it is always tough. @BillyBricks84 I didn't mention @xwingpilot 's Tiedy again since he already got a whole post before. But you are right, it was funny.